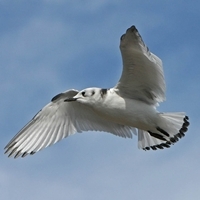 This project assessed whether bird monitoring data from existing offshore wind farms could be used to estimate change in the use of the wind farm area by different bird species following construction. The project focussed on a small number of offshore wind farms to see if analyses were possible and develop methods. The results showed that existing survey methods had low power to detect displacement, and made recommendations on how better to distribute survey effort (without spending more time/money) to allow better estimation of displacement in future. The data collation was carried out by BTO, while CREEM at the University of St. Andrews led on the analyses. - to accompany the above review. Updated following 2014 publication of corrigendum to the peer-reviewed paper (Johnston et al. 2014). This spreadsheet supercedes the version circulated previously and is suitable for use with the extended collision modelling tool provided below.
. It is important to read this guidance before attempting to use the collision modelling tool spreadsheets below.
. It is important to read this document before using the worked example spreadsheets below. This project has provided a tool and guidance to standardise the way collision risk modelling is used and the way results are presented in Environmental Statements. Flight height distribution curves, which can be used to test the effect of different turbine designs on bird collision risk, were produced by BTO, by combining information from surveys of many sites. Note that in the future alternative distributions may be available, either throught the inclusion of additional data in the models described above, or data collected from technologies such as radar or tracking. Provided data are in the same format as the spreasheet based on the Johnston et al. (2014) analyses it is possible to incorporate these distributions in the collision risk models. However, if this is done, careful consideration must be given as to whether the data being used are suitable for this purpose. A review of studies of avoidance rates was also produced. with respect to offshore wind farms. 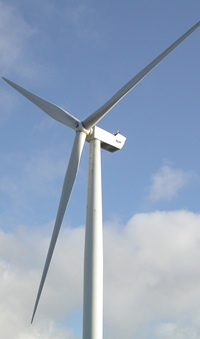 This project investigated potential methods to monitor collisions (or avoidance) of birds at existing offshore wind farm sites, and the sample sizes that would be required to improve estimates of avoidance rates and quantify how they may vary in response to environmental factors such as weather and season. It also estimated the monitoring time needed to achieve these sample sizes, provided information to help identify suitable study sites and bird species for any future study to focus on. 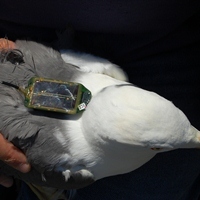 The Crown Estate have produced a scope of work for a follow-up project to test the methods identified in the work, to monitor collision / avoidance of birds at existing offshore wind farm sites, and to calculate improved estimates of avoidance rates. This work was led by Bureau Waardenburg with BTO producing the annex ranking species of highest collision risk concern, with input from the SOSS steering group. 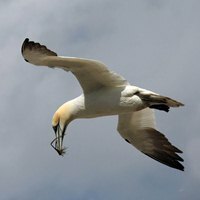 This project assessed the cumulative impact of all existing and consented offshore wind farms on UK gannet populations, and determined a threshold mortality rate that could be sustained from the cumulative effects of collisions with existing and future wind farm developments without causing population decline. 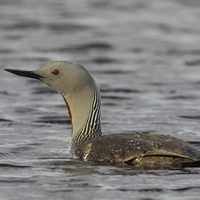 It also developed guidance on the use of population viability analyses for birds at offshore wind farm sites. This work was carried out by WWT Consulting in collaboration with Bob Furness (MacArthur Green) and Mark Trinder (RPS). This project has been completed, and the final report, Migration Assesssment Tool, and both written instructions and a video tutorial describing how to use the Migration Assessment Tool can be downloaded below. SOSSMAT - the SOSS Migration Assessment Tool (zip, 12 MB). (pdf, 1.6 MB) - note these instructions are also in an Annex to the final report, but can be downloaded separately here. SOSSMAT video tutorial, in two parts (youtube link, 18 minutes total length. We recommend using the highest quality setting and full screen view to make everything a legible as possible). Migration zone shapefiles for each species map used in the report can be downloaded, if required, though these are not needed for use of the SOSSMAT. 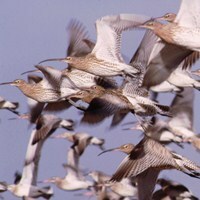 This project reviewed available information on over-sea migration routes, timings and the flight heights of migrating seabirds, waterbirds and terrestrial birds that are features of UK Special Protection Areas, and how these vary, for example in response to weather conditions. It has provided recommendations as to how this information should be used to assess the risks to migrants in the EIA process for offshore wind farm developments, and where further data collection would be required to assess the effects. It also recommneds what further work could be conducted to fill key gaps in knowledge of migration routes and flight heights. This work was conducted by the BTO.